You’re ready to get chickens, you’re totally pumped. And then you do some soil tests (just to be safe) and discover you have high levels of lead in your soil. So what do you do – turn around, relinquish your hopes of having a feathered flock of your own and suppress the urge to cry? Wrong, you get informed, do a good design and work out a strategy, because there is always a way. But first, what is lead and why all the fuss? Lead is a heavy metal which, if ingested, is poisonous to animals and humans (especially babies and small children). It damages the nervous system, can cause brain disorders and compromise brain development. The other major downer is that it does not ‘break down’ and leave your system, instead it accumulates in both soft tissues and bones. So chickens, who love to scratch, peck and eat soil, can ingest lead and pass a large portion of it straight into their eggs. Where does lead come from?? It usually finds its way into our soils in the form of old flaky house paint. Up until the 1970s house paint consisted of 50% lead – ouch. These days house paint has around 0.1% – you can read all the facts and figures about it here. The other common way it’ll find its way into the soil is through petrol runoff, think busy roads and inheriting homes and gardens which used to belong to mechanics or wanna-be mechanics. Car graveyards, old sheds and oily puddles are good indicators of lead being in the soil. But of course, always get it tested if you’re suspicious. So, now to the designing bit. 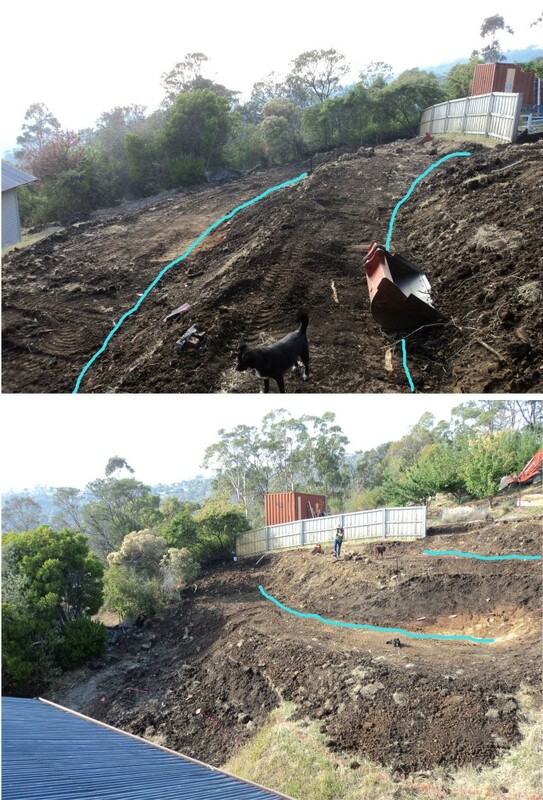 One option is to scrape your site of all the contaminated soil and replace the whole lot with new stuff, yes – this quickly adds up and empties your piggy bank. But it is an option. Another approach is to work with what you have. 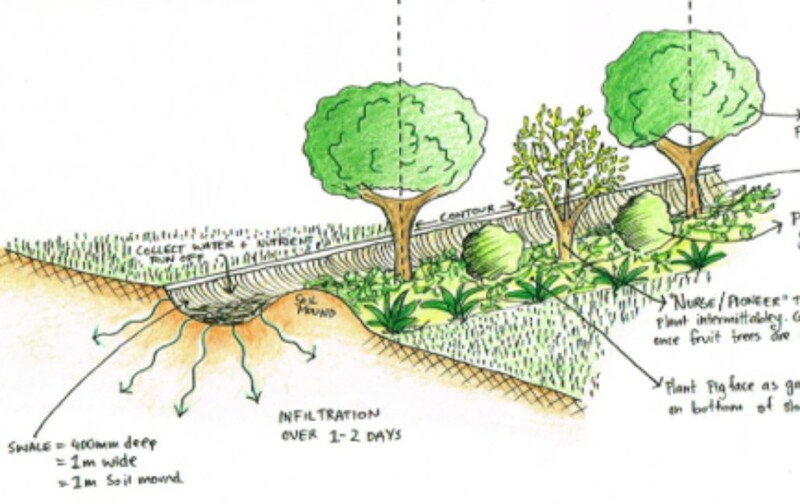 You can literally cover your contaminated soils with geo-fabric to seal it soil off. Then, add a layer of shade cloth on top as extra reinforcement and to prevent chickens from trying to scratch through the geo-fabric. 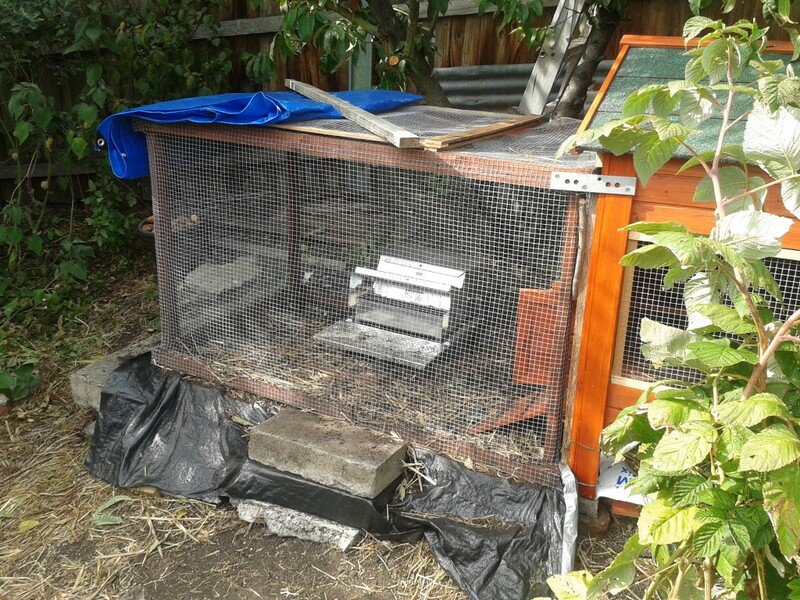 Finally, add a deep litter layer of either straw, woodchips or another type of mulch substance for the chickens to scratch, play and live in. 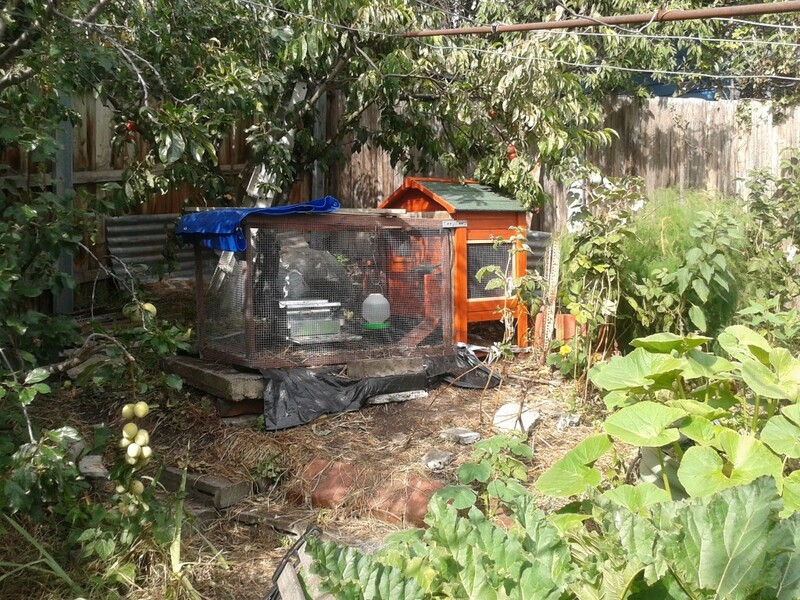 This low-tech system is highly effective in providing a safe, healthy and happy space for your chickens to live in. The top layer of straw/mulch provides the deep litter the chickens need to have their dust baths, soak up their poo and ultimately transform into compost. You’ll need to replace this mulch once or twice a year to keep things fresh. And of course, the stuff you scrape out of there is more valuable than gold – seriously, it has major life giving properties for your food production spaces. 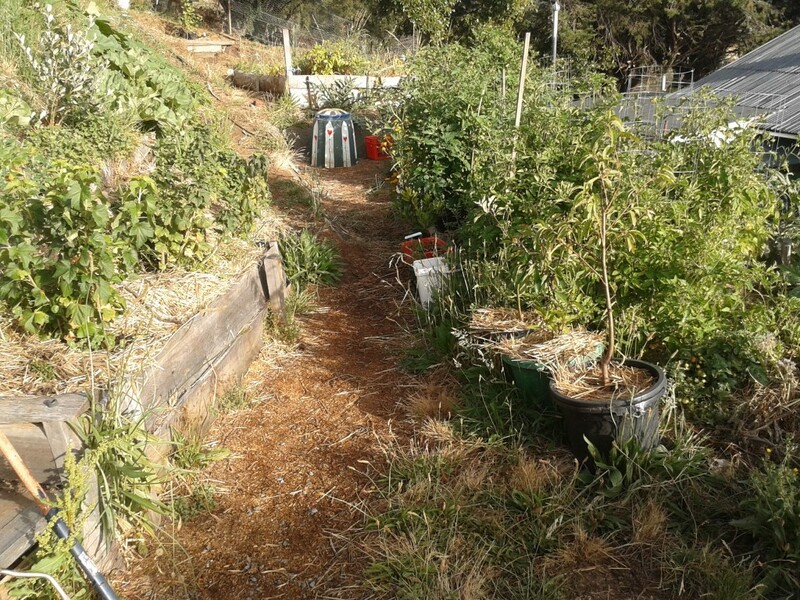 Our friend Margaret has some heavy lead contamination in her soils in urban Hobart. After a good year of research, thinking and learning she now has 3 small bantams, Snowflake, Nugget and Purple (she let her grandchildren name them). 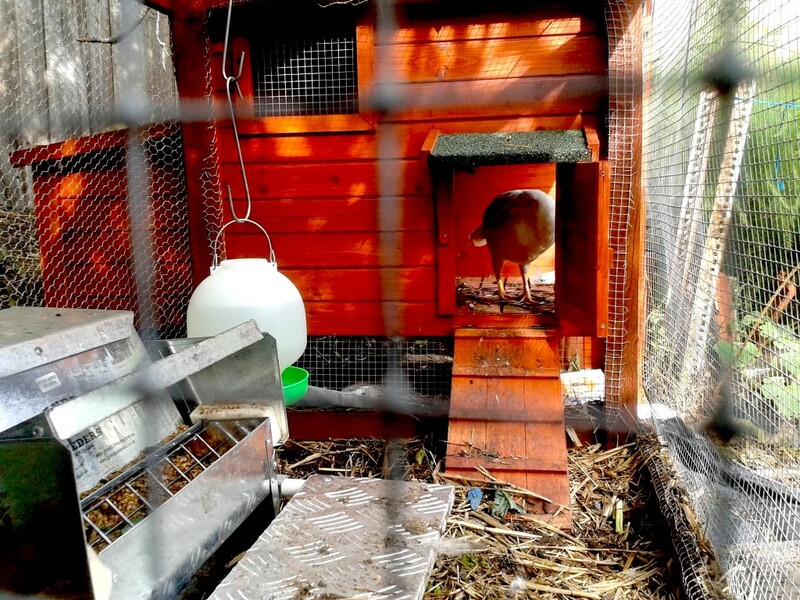 Margaret is smart – really smart, and has started small, both with the size of her chickens and the house she has built for them as she wants to make sure she’s got a good system before expanding their set-up. 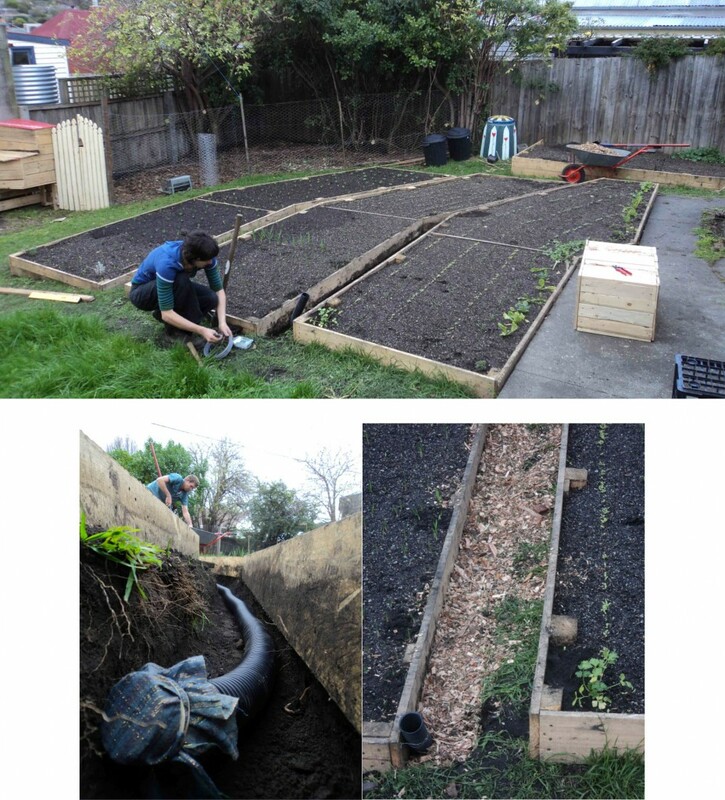 After excavating the contaminated soil out of one area she lined it with weed mat and placed a deep litter layer on top. It’s totally fine that she hasn’t used geo-fabric and shade cloth as we suggest in our above diagram, the weed mat will do the same job – we just outlined a bomb proof option to be super safe. Now Margaret’s happy with the system, she’s planning on extending the run to provide more space for her bantams to stretch their legs. FYI, each chicken likes to have a minimum of 2 square feet of floor space inside their house. Outside, give them a minimum of 10 square feet per bird. You can read lots more about chickens and their needs at Backyard Chickens. Snowflake keeping a safe distance from me while I check out her lil’ home. A close up of the chicken house. The black weed mat is providing a protective layer between the contaminated soil and the chicken’s mulch layer. While Margaret’s system is quite small, this design solution can be up-scaled significantly. Depending on your capacity and budget, it could easily be applied to 1/4 acre block if required. If you’d like more information about lead, visit The Lead Group, in particular check out their page on lead and gardening. Talk to your local Environment Protection Agency (EPA) to find out local regulations of safe levels of lead in your soils, if you’re in Tasmania you can contact them here. FYI the Tasmania EPA tell me that the acceptable levels of lead in ‘clean fill’ is 300ppm. Want to know more about all things chicken? 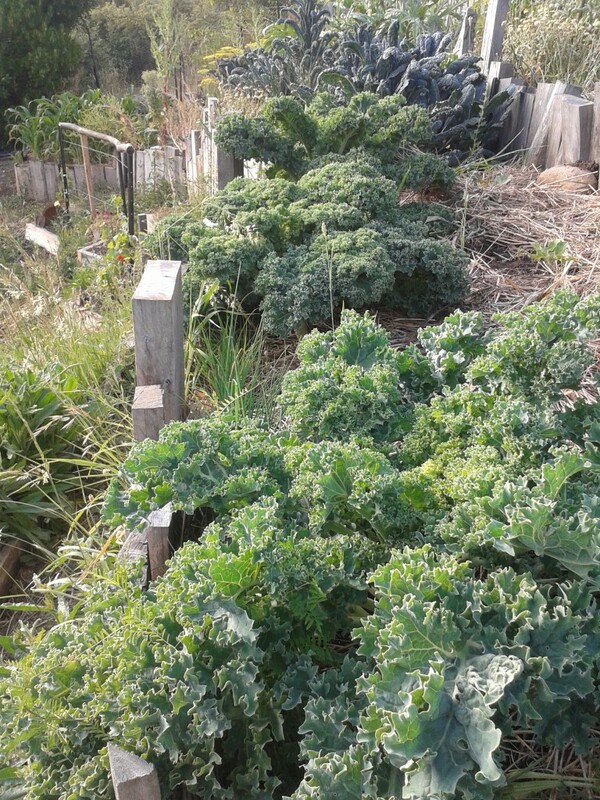 See what our mates have to say at Very Edible Gardens. Photo credit to Kirsten Bradley from Milkwood Permaculture for our cover photo, thanks for photographing our chickens :-). Harvest time is a good time, full of edible rewards and a range of tastes that you wont find in the supermarket. While there’s always some losses along the way (think slugs and birds), this is the time for appreciation, home time and celebration… Oh and preserving, so much preserving. 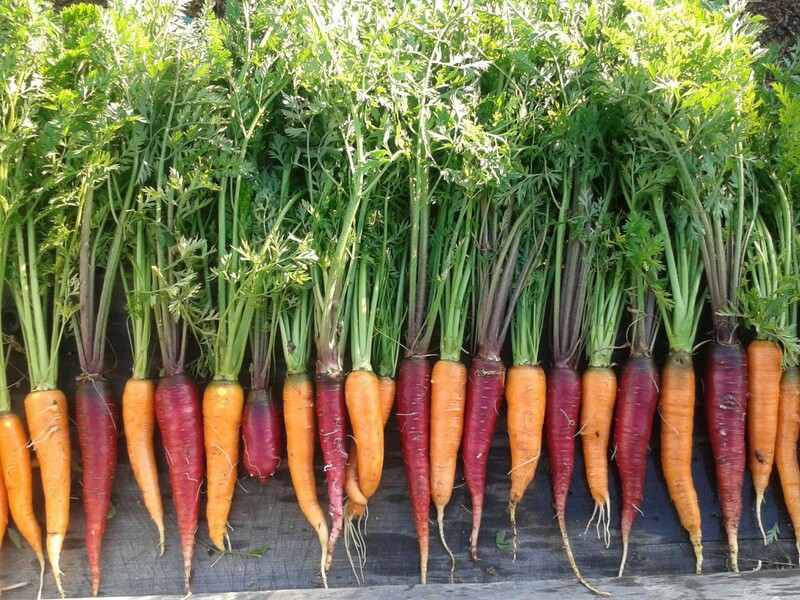 These carrots marked a life changing moment for us, seriously – after years of failed or almost failed crops (in various short-term rentals houses) we grew these tasty beauties. Possibly the spunkiest things we’ve ever seen, we held our heads just a little bit higher the day we harvested these colourful treats :-). 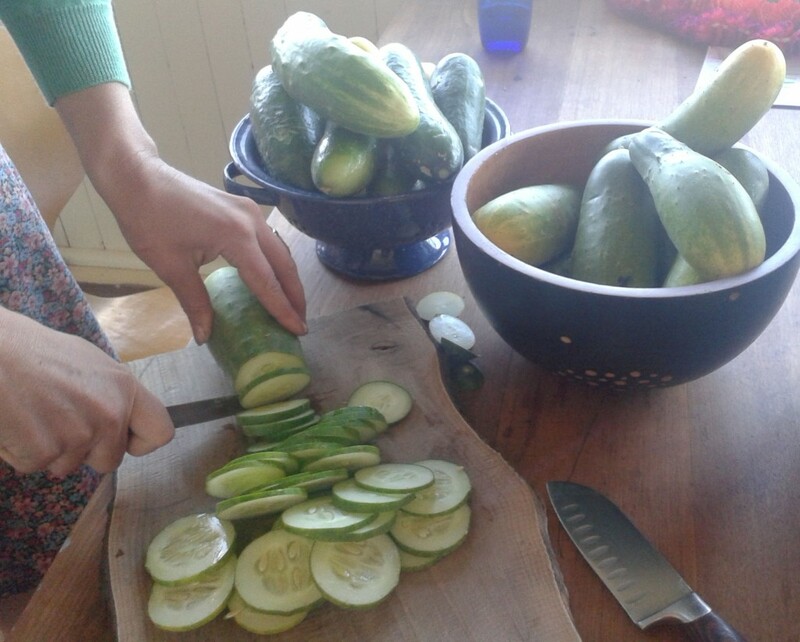 Most days we get one or two bowls of cucumbers which we’re pickling, eating like apples and gifting to our delighted mates. Having more than one variety keeps things interesting and helps stagger the fruiting process ever so slightly. 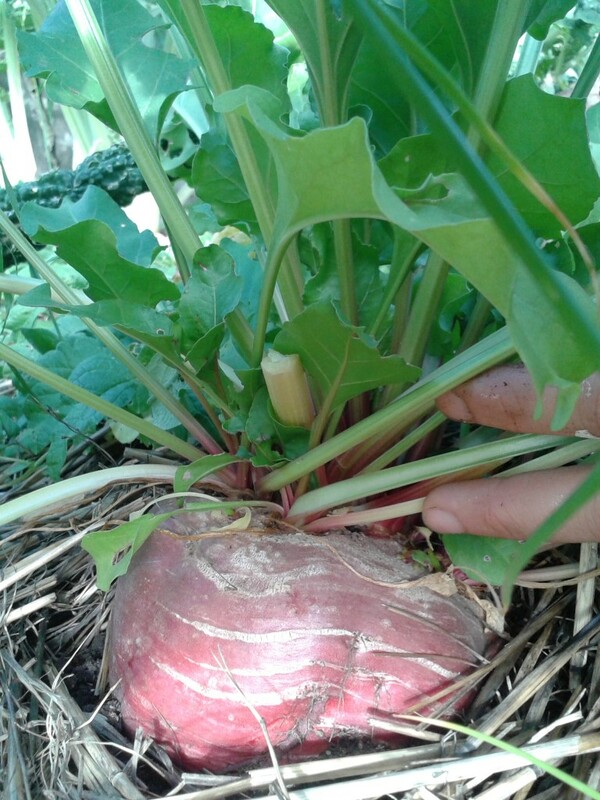 And amongst all the harvesting, we’re also letting some plants ‘go’ so we can save seeds from them, including this heirloom beetroot beauty. 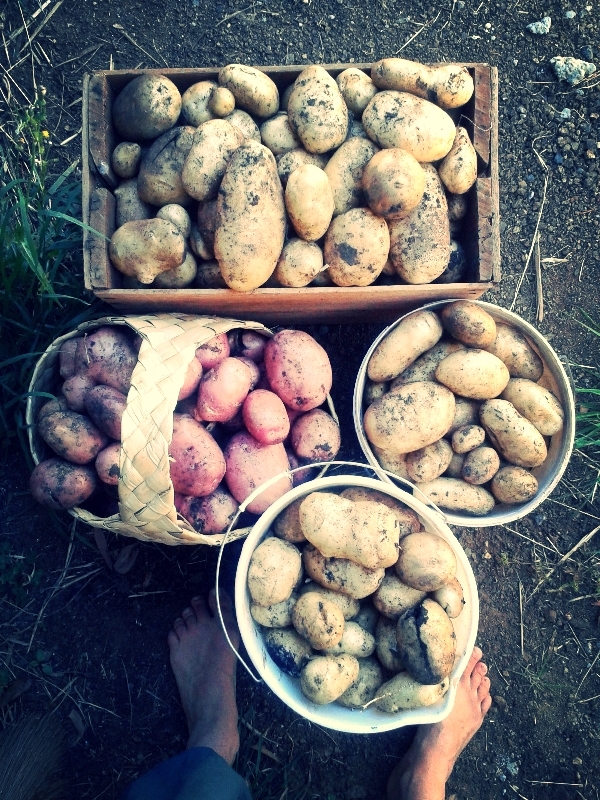 The spuds have made us smile with a fairly good yield which will keep us well fed throughout Winter and into Spring (depending on how many dinner parties we have). Although next time we will not be planting up-to-dates (the white ones) which are simply down right inferior compared to what Tasmania has to offer us. Known as the island of apples and potatoes, there at least 30 varieties we can choose from. These were a last minute, curious planting decision which we will not repeat – promise. And kale, oh the kale. We’re feeling very ‘in’ with the latest health kale craze, most days we’re throwing back serious amounts of kale. Steamed kale, kale chips, kale smoothies, kale pie…. And. There. Is. Still. More. We’re still waiting on our tomatoes which are only JUST turning their shades of reds, yellows and oranges, so while some crops are being pulled out making way for Winter crops we’ll still be harvesting tomatoes, beans, corn, carrots, zucchinis and cucumbers for another good month or so. On it goes, the never ending cycle of our food system – sow, grow, harvest, eat, compost and then repeat. We love it, and love knowing that we’re in it for the long haul. That we’ll be honing our skills on our little hillside for years to come, learning our seasons and living life all in one feels good. At this time of the year a lot of our gardening actually happens in the kitchen. You’ll find us in there processing our own and other people’s excess garden produce, plus stuff we find at the local markets. We’ll spend whole days drying, chutnifying, relishing, jamming, bottling and fermenting – delighting in the knowledge that when Winter comes round we’ll have well stocked shelves and happy bellies. 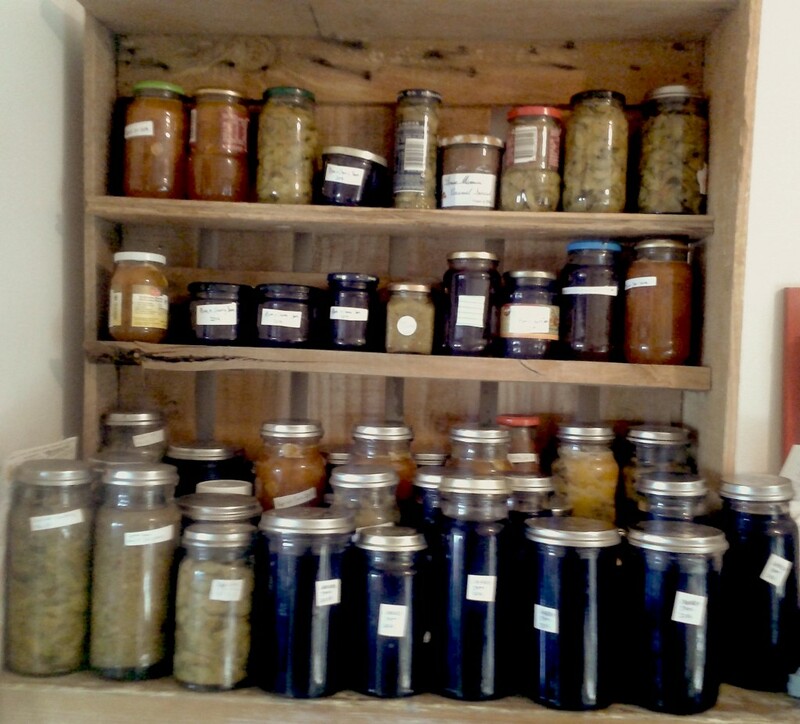 A recent preserving binge produced these tasty treats: cherry jam, zucchini relish, cherry & plum jam, apricot jam and more zucchini relish. Hmmm we think that’s enough jam now. 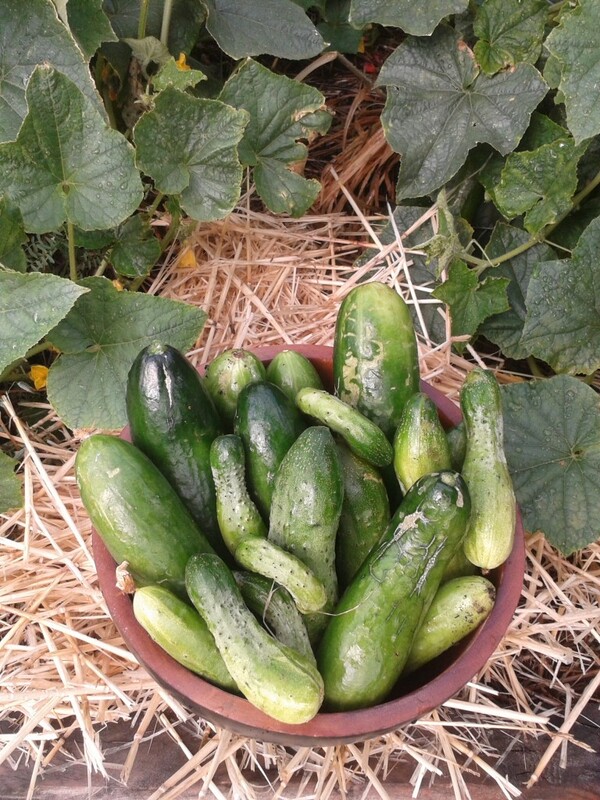 The cucumbers have arrived and so have our pickling efforts! With each layer you put in, sprinkle some salt and ‘pack’ it down firmly so there are no air pockets forming. You should eventually start to have a lot of moisture covering the cabbage as you’re doing this. Once your jar is full, make sure there are no air pockets and that there’s a solid layer of moisture covering the contents. If any cabbage is sticking out then this can ruin the sauerkraut, it needs to be completely immersed in its’ own juice. To do this, place a weight on top of the contents. I use a sterile lid (to cover the surface) and the pestle (from my mortar and pestle) to weight down my sauerkraut which works just fine. In a crock pot I’ve also used a plate (to cover the surface) and a glass jar full of water to weight it down – improvise! 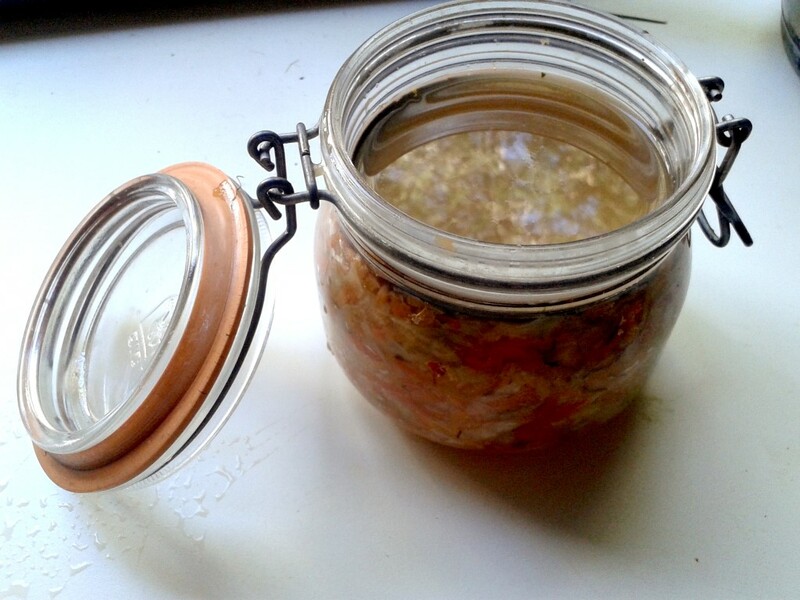 Once your jar is packed tightly, make sure there is a solid layer of juice on top with no bits of cabbage sticking out. Above, I’ve wedged a sterilised lid (from a different jar) to press the contents down. You can add a weight on top of this as well. 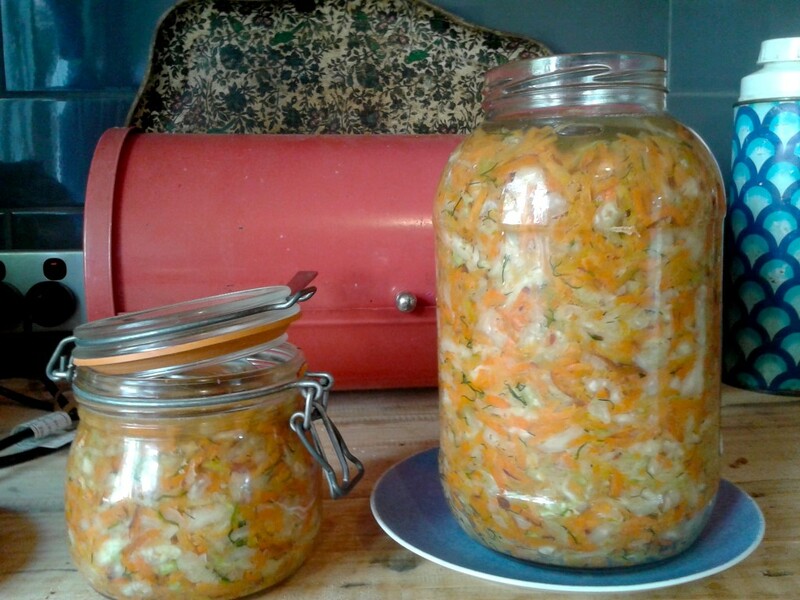 Leave it on your kitchen bench to let the fermentation process kick off – do not put it in your fridge just yet. It doesn’t need to have a lid on it, indeed with a weight on (the mortar in my case) – it can’t! Depending on what climate you live in will determine how quickly this happens. 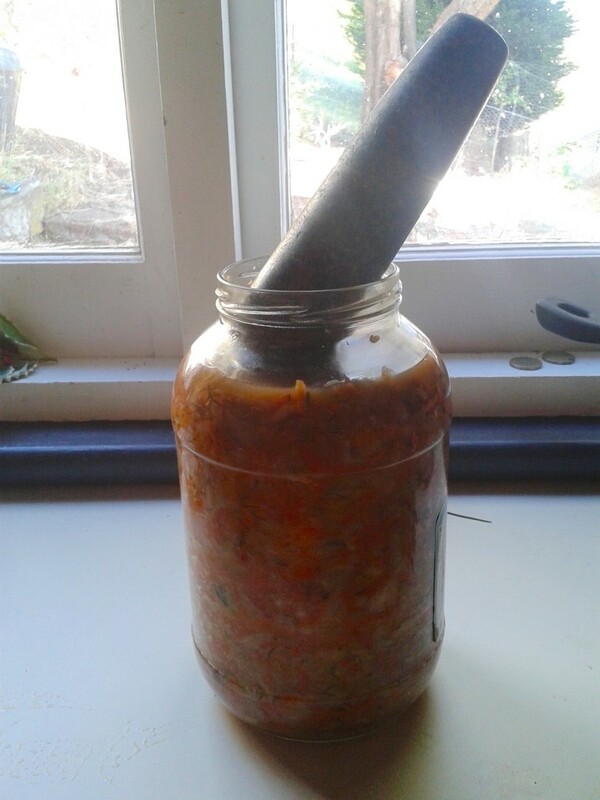 In cool temperate Tasmania it’ll take around one week for it to turn into delicious kraut. However you can leave it out longer for it to develop a stronger taste. Once you’re happy with the taste (just keep trying it every day until your are) move it into the fridge to ‘stabilise’ it. From here eat and enjoy at will! You may notice that in the above photo I’ve got my large jar sitting on a plate. This is to catch the excess liquid which can sometimes (and did this time) overflow. This occurs as the weight slowly compresses the contents, causing the juice to rise considerably. As far as I can tell sauerkraut goes with anything savory – salads, roast vegies, poached eggs, the list goes on – it’s all delicious and wonderfully healthy. Dive into the world of fermentation with world expert, Sandor Katz here. 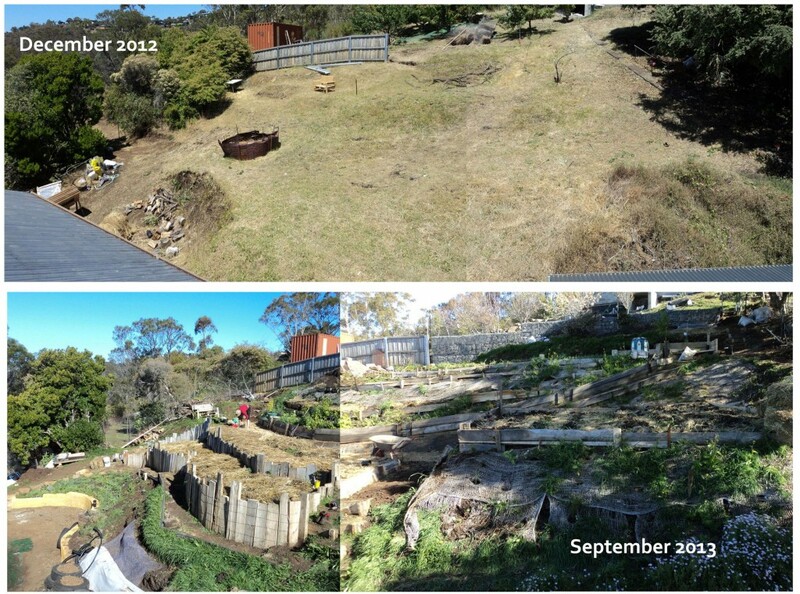 Mr Katz is currently touring Australia with our mates from Milkwood Permaculture – you can see if he’s coming to a place near you here!